Rant: Accessible Parking: Stupidity Is NOT A Disability! Some disabilities are “invisible” while others can make a person feel invisible, so we should not judge others by how they look to determine if they “deserve” to be parking in an accessible space. 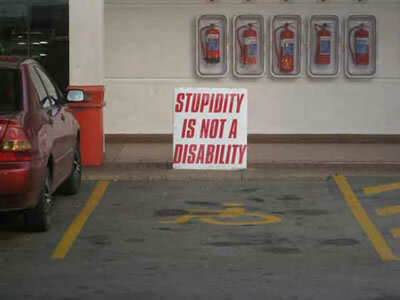 However, STUPIDITY is NOT a disability.